You may read that title and wonder how someone gets to 32 without voting. How do you go through a big chunk of your adult life, registered to vote but not using it? Why would anyone let so many votes be wasted? But, to answer that I need to go back a few years. I got kicked out of home when I was seventeen. My parents were very much labour supporters – they were working class, they worked hard but they also claimed benefits and lived in a council house. Everything about my parents was labour and they would never vote for anything else. So growing up I didn’t hear about anything else – I had no interest in politics and my political knowledge could be summed up in that I knew there were three parties. Labour for the working class, poorer people. Conservatives for the upper class, rich people. Lib Dem for those in the middle. Middle class, middle income people. I didn’t think more about it than that. When I turned eighteen I registered to vote. But I did it so that I could apply for things, so that I would be registered at my address – I didn’t do it to actually vote. I was juggling a messy life, working too much, going out too much and with very little money – my interest in politics hadn’t increased at all and I really thought that voting was something grown ups did, something that people in charge did. I really didn’t believe that it was something for someone like me – it was something I’d think about when I grew up and when it affected me. I had no idea that even back then every election effected me directly. After that each year merged into another, I didn’t have parents or family talking to me about politics, my friends didn’t even mention politics and it wasn’t the done thing to talk about politics in my workplace either. Social media wasn’t as big as it is now and so politics just wasn’t as ‘in your face’ as it has been for the last few weeks. I usually only paid any attention to an election when I saw the results in the paper and it was quite easy to go through life being completely ignorant to it all, with my head in the sand. I thought I would vote when it effected me, I would vote when I grew up, I would vote when it mattered to me – and it just wasn’t on my radar for so long. The years rolled by and then there was talk of the UK leaving the EU. There was the referendum and my social media feeds told me that it would be fine, we would stay part of the EU. After all, we had always been part of the EU for as long as I could remember, I was as much European as I was British. How could the UK not be part of the EU? So again, I didn’t vote. I know. I know what you are thinking and I think exactly the same. The morning I woke up to find that the country had voted to leave the EU I was disgusted. Not at the outcome – it was always going to go one of two ways – but at myself for not voting. I am sure that if me and everyone else that was going to vote when they finally grew up had actually voted we would probably not be leaving the EU. At that point I first became properly aware of politics. I realised the impact that every vote had and I realised what could happen to a country if we didn’t use our vote. Literally anything could happen. So when the general election was announced I took an interest in it. Not a huge interest – I still don’t really like politics – but I read about the different parties, about the people behind the parties and about the things they were each promising. I saw my social media feeds show so many different opinions and I knew that no matter what social media said, I had to vote, and I had to keep voting each and every year. I have a vote and I have to use it. Plus, I have to teach the children that they must vote. That voting is the right thing to do and having the chance to vote is a privilege that not everyone in the world has. So today I voted for the first time. I am proud that I voted and part of me is sad that it took me this long to realise that what happens to the country can be effected by my vote and whatever happens to the country will directly effect the lives of my family. It doesn’t matter who I voted for and whatever happens today – life will go on. But knowing I have voted, that I have, finally, had a say in what happens has lifted a weight from my shoulders. Today I have finally grown up – and voted. I’m so glad you voted this time Donna, you’re right it is important. And for me this election isn’t about who wins, it’s about the fact that at last the main political parties have such different policies and agendas that this is the election that has galvanised people to vote, to have a say in their future and our children’s future. Voter apathy is a dangerous thing, particularly because the people whose lives will be impacted the most by the election are often those who don’t vote. I’m 32 years old too. I was kicked out of home at 16 and my parents were also labour voters. I voted when I was 18 years old and haven’t voted since… until today. Today I did vote for the same reasons you did. Same with the EU. I didn’t vote and I was so disappointed in myself that I didn’t vote. I’m was devasatated about the outcome of the EU referendum. I vowed to myself that I’d always vote from then on. I voted for the 1st time at 24, but previous to that I thought it wasn’t for people like me. Now I’m one of those people that gets annoyed when others don’t use their vote. Oh how times have changed hehe! So glad you voted Donna! 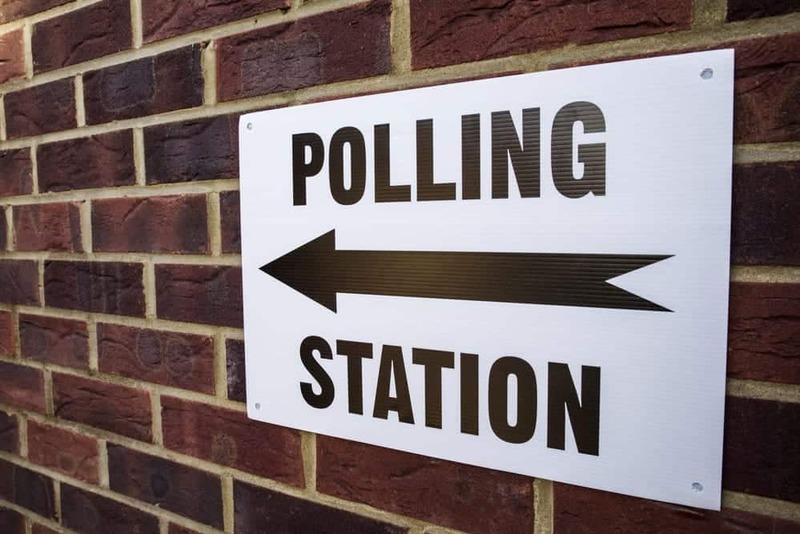 I’ve written about the election today too after our conversation, it’s so important to vote. I haven’t always realised I have a voice, my family too have only ever voted one way. And I know now that I can change the way I vote and that’s ok.
I’m happy that you’ve finally made the decision to vote. For me, I grew up hearing about the importance of voting from my parents, Girl Scout leader (I’m American), and some of my teachers. So I started voting as soon as I turned 18 and have continued since. Living in the UK, it bothered me that I couldn’t vote for the first few years. As soon as I was eligible for naturalization, I got dual nationality and registered for the Electoral Roll. I don’t take this privilege for granted, and I love to hear about others recognizing the importance of voting. Now you’ll probably find you’ll get hooked like so many people do. I never had an interest until about 10 years ago when the US election was everywhere (I still have not much idea of how that works), and I’ve always had an opinion but I’ve always voted since the year I was 18 at university – it was so exciting, our whole year 2 house walked up the road to do our first vote together. I expect most of us voted for who our parents voted for because their views are what you hear growing up. Especially back when news was reliant on tv and newspapers, none of which we really had at uni back then! I’ve only missed one vote, and that was for a local election that didn’t need me to vote because my choice was always going to win anyway. We went en masse yesterday to vote, me, the OH, brother in law, N and his youngest cousin. It was the busiest I’ve ever seen the polling station! I think as you get older you gradually have more issues with everything and more interest. But it’s definitely important to have children understand the importance of voting. I think there were many first-time voters this time around… so important!